The show started late and, at one stage, was more than one hour behind, but that aside, it was a smoothly ran event, with all the artistes performing with a band and the changes in between were hardly noticeable as they were efficiently done, with most completing in about five minutes. Wayne Wonder and Half Pint, however, were far superior than the others in their performances, having the audience going along word for word to their croons. While both were fairly static on stage, they made up for it with popularity of their songs. Wayne Wonder, the busier of the two with walks across the stage, kept the pace going right throughout his performance, during which he did the sections of his many collaborations with Beris Hammond and his incarcerated friend Buju Banton, without missing a beat. Spragga Benz was on hand though to deliver his portion of Damaged. Half Pint, on the other hand, barely moved from the spot he entered the stage, but might not have been noticeable, with an appreciative audience lapping up songs such as Winsome, Greetings, Substitute Lover, Hold On, Level The Vibes, Mr Landlord and Sally. The show was however marred by Tarrus Riley going on stage to disrupt Fantan Mojah's performance. Loop Jamaica is yet to get confirmation, however, it is understood a verbal spat started backstage between Tarrus and last act Anthony B. According to reports, Anthony B expressed displeasure of performing after Tarrus because of band issues and this got the latter upset. Tarrus then went on stage and went into a tirade about another artiste "dissing" him. Tarrus did four songs by himself. He then engaged Mojah in a semi clash, as each did one a piece until they completed four. Riley then left the stage and the venue, with his entourage. Before that though, Minister Marion Hall, once known by the stage name Lady Saw, did an inspirational set, in which she exalted the name of Jesus and had the crowd doing likewise. She also dealt with a member of the audience who shouted, "Marion Hall bun Jesus! ", early in her performance. Founder and host of the show, Tony Rebel gave a fairly good performance as did Notis Heavyweight Rockaz, No Maddz, The Astronaughts, Lone Ranger, General Trees, The Abyssinians, Warrior King, Iba Mahr, Fantan Mojah and I-Wayne. Upcoming artistes and early acts, Feluke, Bobby Tenna, Chevaughn, Jabez and Dann I left an impression. 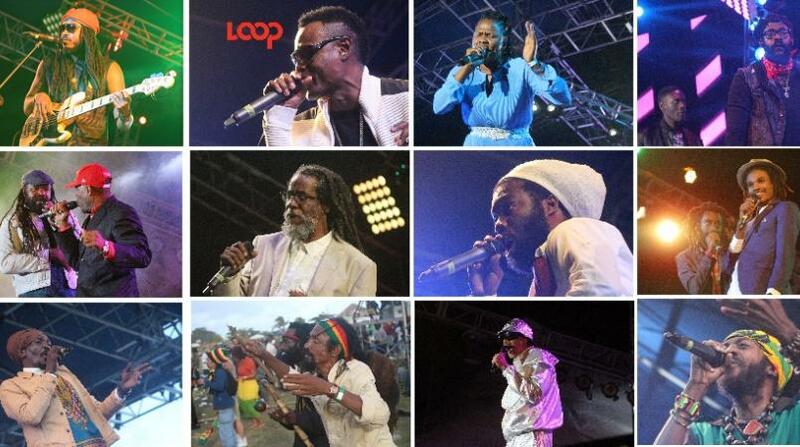 Among the disappointments were veteran duo, Chakka Demus and Pliers, who failed to get a response to live up to their reputation.